Southern Africa’s coastal belt has attracted a lot of attention from key international players in the oil and gas sector. Simon Ashby-Rudd, Standard Bank Group’s head of oil and gas, looks at the implications for Africa, and especially Mozambique, which seems to hold a wealth of gas. Sub-Saharan Africa’s oil and gas map will need to be redrawn over the coming decade as the region's current heavyweight crude producer nations, Nigeria and Angola, are being joined by a lengthening list of African nations where crude and gas fields have recently been discovered and are on the brink of production. Uganda, Kenya, Ghana and Nigeria are among those that could see new fields producing over 100,000 barrels per day (bpd) of oil by the end of the decade. However, it is world-class gas finds over the past three years off the northern coast of Mozambique and South Africa that are garnering the most interest. Mozambique in particular has arrived on the world energy map and will be a major player in the liquefied natural gas (LNG) markets going forward. Mozambique seems destined to be catapulted from being one of the region’s – and world’s – poorest countries into a rapidly industrialising economy. Along with new or existing fields in Tanzania and Equatorial Guinea, mounting interest is likely to generate a significant net increase in output as top global oil and gas gas companies, along with international banks, crowd into this new market searching for first mover status. Southern Africa’s coastal belt has attracted most of the key international players, and initial exploration wells are expected to be sunk in 2014. The impact on the banking and advisory sectors will be substantial. The United States’ US$1.5-billion gas programme produced huge project financing opportunities, debt capital market opportunities and later M&A (merger and acquisition) and equities capital markets work. Gas is likely to play an increasingly important role in the mix of energy in Africa, and Southern Africa in particular. But before this transpires we will need to see policy consistency and gas infrastructure funding models that will attract long-term infrastructure-type returns. With the caveat of such infrastructure being in place, southern Africa has an opportunity over the next decade to replicate the success that the USA and UK have experienced with the development of their respective gas-related and gas-to-power industries. Given the power deficit of the region, he adds that South African production at least may find a purely domestic market that could largely be priced in South African rands (ZAR) with commensurate economic benefits. 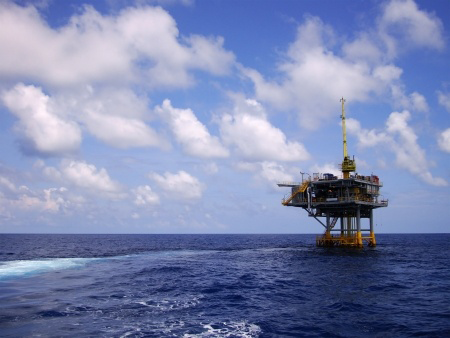 The gas discoveries by United States oil firm Anadarko and Italian multinational gas and oil company ENI in offshore areas in the north of Mozambique, have so far delivered 12 successful offshore wells in 30 months. Mozambique is conservatively estimated to now have 57-trillion to 70-trillion cubic feet (tcf) of discovered offshore natural gas reserves. This figure is set to increase in the next few years as the exploration programmes continue. By any measure, Mozambique represents a major potential source of natural gas for the future and must currently be ranked in the top tier of domestic gas reserves on a worldwide basis, potentially ahead of major global suppliers such as Indonesia and Australia. The challenge is to turn this huge potential into reality within a realistic time frame, while ensuring the economic benefits flow through to the wider population. Given the isolated location of the discoveries in northern Mozambique and the limited industrialisation of the domestic and even regional economy, there is insufficient local demand for natural gas to justify the huge capital required to develop the offshore reserves. The only solution to attract sufficient capital to develop these reserves would be for the gas to be initially exported as LNG. We need to kickstart the process of identifying the potential uses for the natural gas, what infrastructure will be required to bring such resources to use, and which policies and regulations will be appropriate to ensure public and commercial objectives can be met. A gas master plan is needed to look at these and other issues, such as beneficiation, energy security, taxation and employment. As seen elsewhere in the world, the development of a major LNG facility tends to act as a catalyst of far wider industrialisation. Apart from the benefits of the upstream activities (LNG revenue and tax revenue), Mozambique is also likely to benefit from a raft of down-stream opportunities such as the construction of fertilisers, petrochemicals, methanol, and gas-fired power plants. However, to ensure that Mozambique LNG captures the market window in 2018-20, given the five- to six-year construction timetable for such a large project it needs to reach financial close during 2013/4. Consequently, the next 12 months are critical. For more on Standard Bank Group’s capabilities in financial deals relating to the oil and gas sector, see www.standardbank.com/cib.